I don’t think anyone has yet to notice the devastation in Haiti. Thousands of people are suffering, in a country that already suffers much. Some of us have someone they know in Haiti, while others have no connections what-so-ever. But, I think all of us have felt something. Most of us can’t actually go and help. But we can pray and we can give. This country needs our prays now more than ever. And we need to give to this country now more than ever. My original plan was to post a tutorial today. But there is something brewing in the blogosphere. Something exciting, yet so needed. I personally, do not have much to give, as I’m already hanging by a thread, financially speaking. You might feel the same way too. But right now, hundreds of bloggers are teaming up to help raise money, for comments and posts. Head on over to Money Saving Mom and check out the close to 100 links now of people who are donating a monetary amount for every comment left and/or blog post linked up. I already plan to give a $10 donation to Compassion International, but if you would like to make it grow, I will give $.10 for every comment left here. Consider giving a donation yourself (you can click on the banner in the sidebar to do so). And if you do, leave a comment telling me who you gave to, and I will give $.25 for that comment. Update: Comments are now closed and I’m going to total it all up. Even though my comments are close, you can still click the link above to donate! I’ll be back to let you know how much was raised! Thanks everyone! Thanks to all the donations that you gave, most of your comments were worth $.25 instead of $.10. I just sent off a $18.15 donation to Compassion International! Thanks for helping the efforts today. It’s amazing to see everyone working together. This is a great idea! Thank you so much! We’re donating $1 per comment over at PublixPennyPincher.blogspot.com . Thanks for all you’re doing! Stopping by from Mcmama’s blog. I have alredy made a donation to Compassion International and I think what you are doing is great. How wonderful of you! Found you from MckMama’s site. Hats off! Here’s a comment! Thanks so much for doing what you can to help the people in Haiti! Thanks for having a heart that reaches out to people in need! Thanks for helping the people of Haiti! saw your comment on mckmama’s blog. i donated $ to compassion via text. Bill and I are going with Feed the Children. Thank you for donating based on comments! I made my donations via text – what a great technology. And what a great blog community! Thank you! Several of my children are adopted from Haiti; this crisis is very personal. 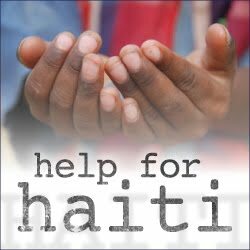 We donate regularly to Heartline Ministries and Real Hope for Haiti. It’s awesome what everyone is doing to help. They really need it in Haiti! Consider me commented! Thank you so much! I donated $10 to the American Red Cross via text message, and $5 to Yele Haiti also via text message. I have also blogged about Haiti, urging others to donate what they can, and am visiting as many blogs as I can. Thank you for doing this! I volunteer with Haiti Outreach in Pignon, Haiti. Thank you for helping the Haitian people! Thanks for this! God Bless you! Thanks for doing this! I donated to Red Cross and Bresma Orphanage. thank you for giving us one more way we can help Haiti. My son’s school did a collection yesterday for the Red Cross — he dug into his piggy bank and so did we. Thanks for helping! I’m commenting in honor of Corey and her family. I’ve also donated to the Red Cross, Yele, and commented on every other blog that Corey put up on her blog. I’m giving $10 eCOUPONs to my online gift store Gifts For One Gifts For All (www.giftsforonegiftsforall.com) to those that have donated to organizations helping the Haitian earthquake victims. When the eCOUPON is redeemed, 10% of the purchase will also be donated to organizations helping Haiti. Read my blog for more details at http:/bit.ly/DONATE2HAITI on how you can receive your eCOUPON for donating. If you’re blog is making donations for comments or links made and you want to thank those that have contributed to your blog, contact me at info@giftsforonegiftsforall.com to a eCOUPON you can give those that have help you give. And bloggers don’t forget to contact me to receive your eCOUPON for doing your part to help Haitian earthquake victims. I donated to Heartline Ministries at http://haiti-relief.org. I am commenting in honor of Corey and her family at Watching the Waters. We have contributed to American Red Cross. We have already donated to Heartline Ministries in Haiti. That for doing this fundraiser! My name is Morgan and my hubby, Tommy and I live north east of Baltimore, MD. We live in a house on a big hill that we have completely rehabbed ourselves. He's a civil engineer and I'm a 4th grade teacher. We enjoying traveling the world as cheaply as possible. I enjoy gardening and am studying to become a certified herbalist. We both love to snowboard. And if it's a bad idea, Tommy will probably want to make it happen. (8) For it is by grace you have been saved, through faith—and this not from yourselves, it is the gift of God— (9) not by works, so that no one can boast. (10) For we are God's workmanship, created in Christ Jesus to do good works, which God prepared in advance for us to do. Brenda on Make your own blog header! Kyong on Make your own blog header!